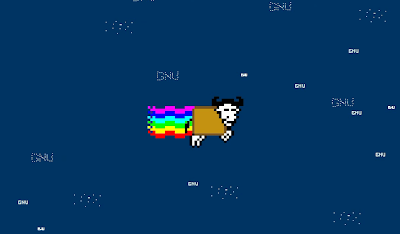 GNU/Linux users over at 4chan boards have worked collaboratively to create MooGNU, a copyleft alternative to Nayn Cat. 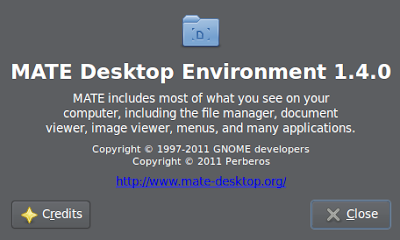 This mascot has now been included in MATE desktop, a fork of Gnome 2. 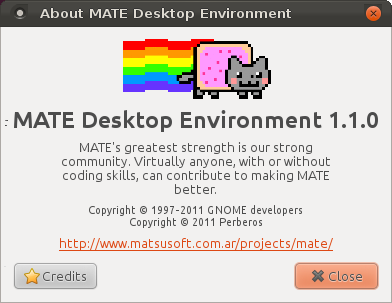 Earlier, MATE desktop used to include an image of Nyan Cat in its about dialog. MATE 1.4 was released recently with many new features and changes and it was included in Fedora repositories. 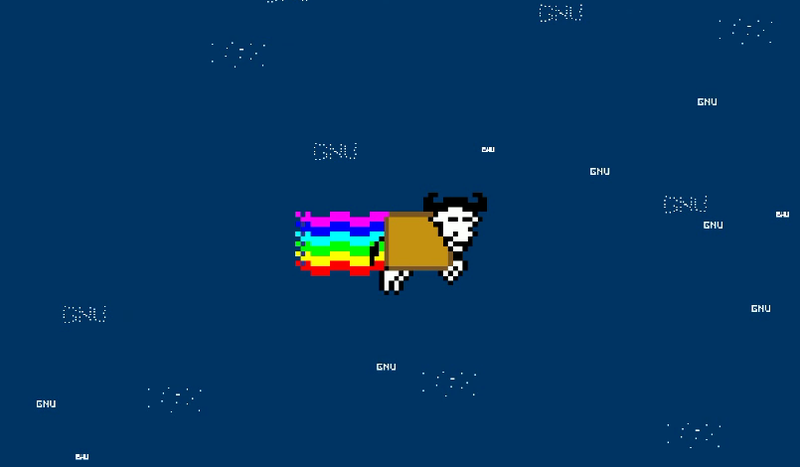 However, Nyan Cat image was removed because of legal issues. To get back the cat, guys over at 4chan boards have worked brilliantly to create MooGNU. 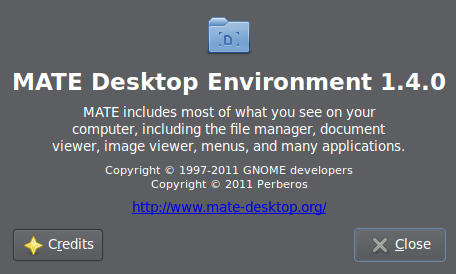 It has been licensed under CC-BY-SA 3.0 and MATE founder Perberos has accepted it to be included in MATE desktop.